A woman died and two other people were injured after an early morning crash in Durham on Monday. A woman died and two other people were injured after an early morning crash in Durham. 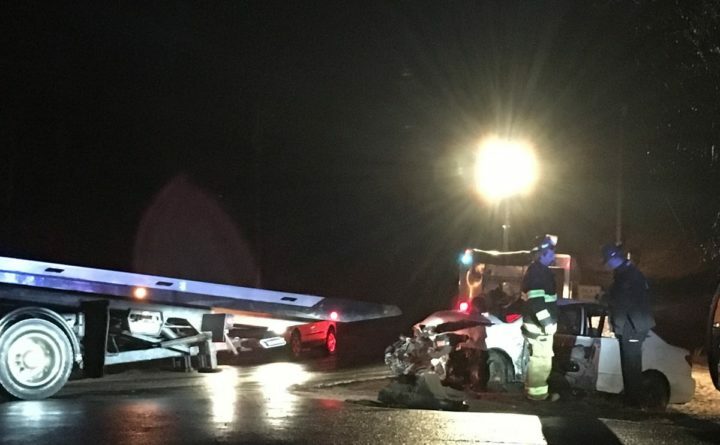 A 2003 Toyota Corolla was traveling toward Lisbon along Shiloh Road about 1 a.m. Monday when the car left the right side of the road near the intersection with Deervale Road and struck a utility pole, breaking it in half, according to Androscoggin County sheriff’s Chief Deputy William Gagne. The Toyota then struck a road before coming to a stop in a field. Rebecca L. Brown, a 26-year-old from Sabattus who was a passenger in the backseat, died at the scene, Gagne said. She was not wearing a seatbelt. The Toyota was registered to Andrew J. Smith, 25, of Lisbon, who was sitting in the front seats along with an unidentified female passenger, Gagne said. Both Smith and the unidentified woman denied being the driver, according to Gagne. Smith and the unidentified woman were taken to a local hospital with injuries that weren’t life-threatening, Gagne said. The Toyota has been impounded, and Gagne said an examination of the passenger compartment will be performed once a search warrant is obtained later this week.